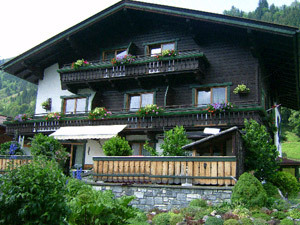 Pension-cozy,family pension with 10 rooms (two simple rooms, five doublerooms and three triplerooms),dining room/common room with a small bar and colour television with satelite programs, a ski room,own parking area,a large sun terrace located on front of the pension-with beutiful view of surrounding mountains. Breakfast- buffer (8:00-10:00). It is possible to have some light cold or warm meals in the afternoon or evening. We Offer alcoholic/nonalcoholic beverages.